Compare the graph of a rational function to its equation. 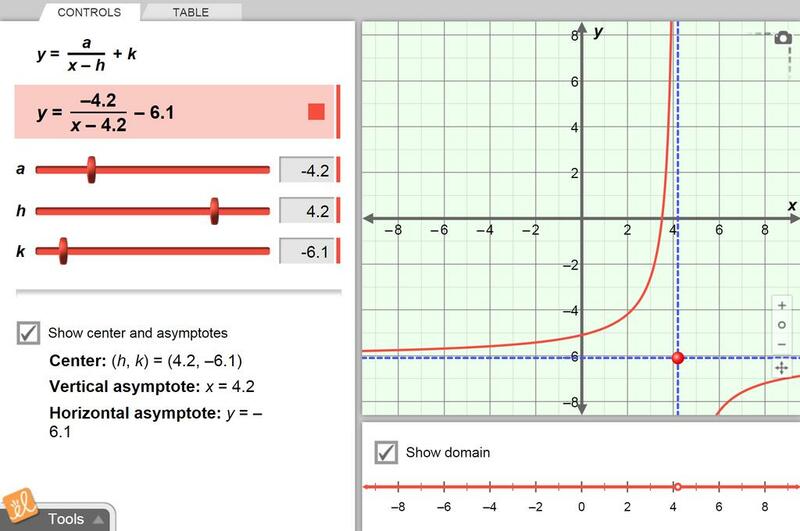 Vary the terms of the equation and explore how the graph is translated and stretched as a result. Examine the domain on a number line and compare it to the graph of the equation.